Back in the really old days, baseball players didn’t wear things like batting helmets or catcher’s masks. And they had the missing teeth and dented skulls to prove it. But batting helmets and catcher’s mask have long been mandated in the Big Leagues. 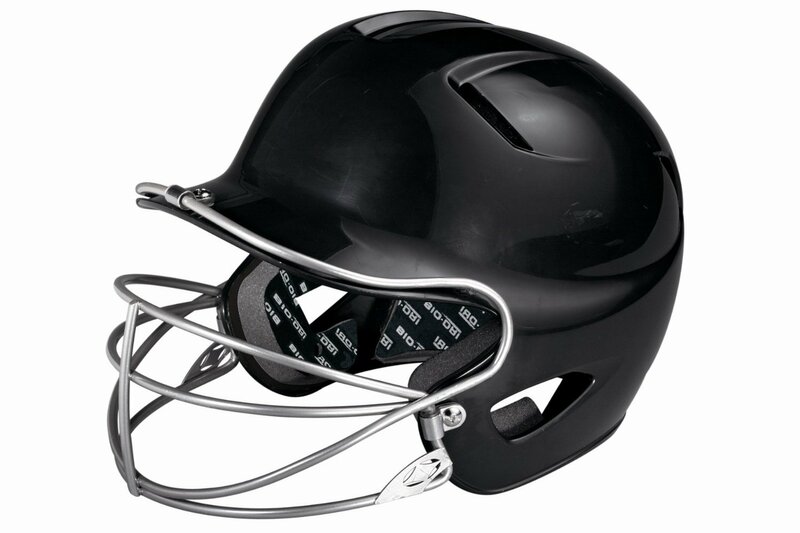 And if you are playing youth or amateur ball you certainly want to be protect your noggin because you’re not going to have millions of dollars to fall back on if it gets damaged. We’ve looked around the Internet for some the the best rated helmets and catcher’s masks for both baseball and softball. This list should give you an idea about how much this equipment costs, and what type of equipment is available. You should be able to find these helmets and masks online or at your local sporting goods store. Sleek and modern, the Easton Two-Tone Natural Grip Junior Batting Helmet looks cool while protecting the grey matter. Its shell is high grade ABS and it is fitted with EVA impact foam. According to Easton this hat has the slimmest profile and most aerodynamic venting system on the market and it meets NOCSAE standards. It has an attachment for a facemask, which would be sold separately. It even has a moisture reducing lining. Judging from online reviews, this seems to be a good sized helmet for a five to ten year old. While facial scars aren’t the end of the world for a guy — in fact they can look kind of cool — it’s not a good look on a young lady. Which is why many high school and college softball players wear fielder’s masks to protect themselves from bad hops. 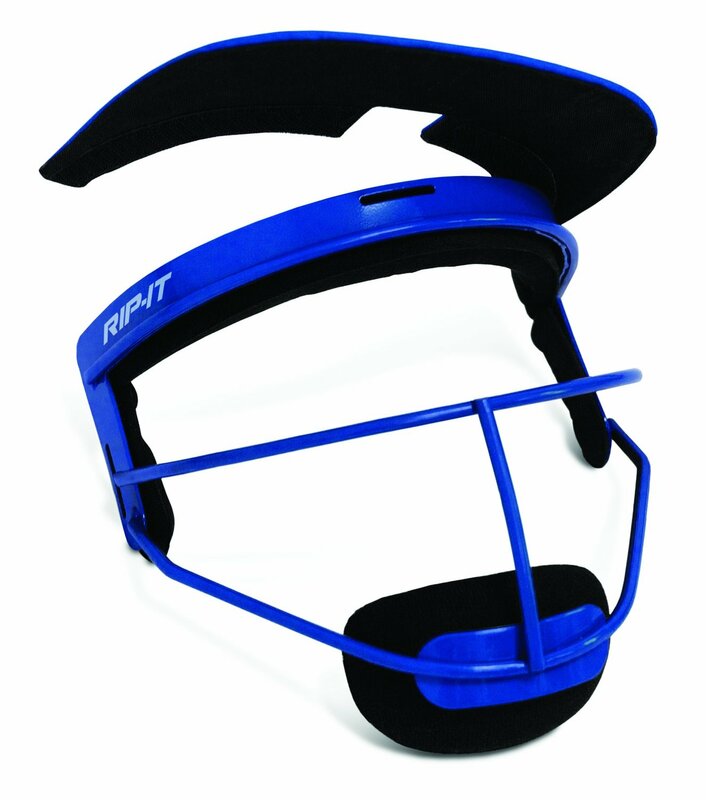 The RIP-IT Defense Softball Fielder’s Mask is designed to offer the largest viewing area, which allows a player to easily look down, without sacrificing any protection. It’s ponytail friendly and comes with an adjustable chin strap. Say goodbye to bulky vision restricting defense masks with this product. While it’s true you could give your team’s base coaches leftover batting helmets for when they stand in the coach’s box, why not show the men who wave you home some love with their very own job specific helmet. Like the Rawlings CCBCH Base Coach helmet, which provides maximum comfort while protecting from line drives and also features a new design including clothed covered open shell padding.. Have all your base coaches perform their jobs with confidence. This product will also work for catchers. 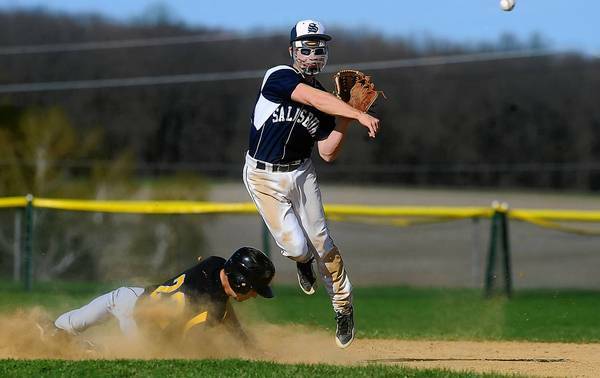 There are some pitchers in high school and in men’s leagues who can really bring the heat. And the chances are they don’t have the same kind control that big league fireballers have. Yes, baseball can be a dangerous game. But if you have the Rawlings 100-MPH Batters Helmet you can feel a lot safer, thanks to four independent layers of protection which make up its Advanced Impact Management System and protect the head from pitches up to triple digits. The 100-MPH Batters Helmet comes with a three year warrantee. This isn’t going to work for youth leagues, because there are no connectors for a chin strap or a faceguard. There has been a movement toward one piece catcher’s masks/helmets over the past decade, but some still prefer the classic two piece look. The Wilson SleekPro Skull Catcher’s Cap will provide an economical top half of that combination, and with its Dri-Lex management liner a dry one at that. The helmet’s strategic venting maximizes airflow while limiting weight and it come in black, green or navy. One size fits all and adjustable, this will work for 8 to 80 year olds and also has functionality as a base coach helmet. Sure, in this one piece world the catcher’s mask is going the way of the land line or the dodo bird. But they are not quite extinct yet. The Rawlings LWMX Lightweight Face Mask ws the model worn by Mike Piazza, who will probably be in the Hall of Fame one day. You won’t be, unless you visit, but you can still enjoy this ultra lightweight wire framed mask with a built in neck protector. It meets all NOCSAE standards and would also work great as an umpire’s mask. Sometimes looking good isis the first step to playing well. This is especially true for younger players, and this smart looking Easton Williamsport Natural Grip TwoTone Junior Batting helmet will give a little leaguer plenty of confidence. And with 16 colors to chose from you will surely find one to match his team colors. NOCSAE approved, this helmet features a ABS shell and bio-dri moisture management lining. It is available and sizes 6 ⅜ and 7 ⅛ and yes some players who have used it claim it’s even made them hit better! While it’s true a tee ball player doesn’t have to worry about being hit by a pitched ball, there are still many perils to a youngster’s head on the diamond. There are bats being wielded in uncoordinated young hands and there’s the risk even a game a catch poses to a 4-year old with a limited attention span. Plus with the way little kids are always falling down, isn’t it always a good idea to have the little ones wear a helmet whenever it seriously acceptable? 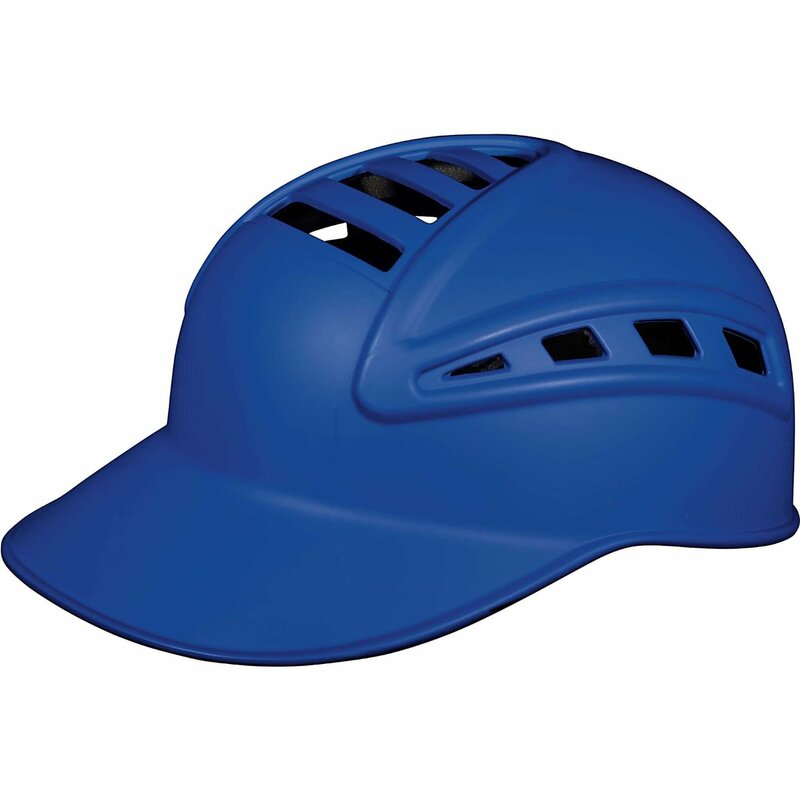 The Easton Natural Tee Ball Batting Helmet will protect a kid’s noggin for a good price. And that’s a good thing.